His Beatitude Metropolitan Jonah, former Archbishop of Washington and Primate of the Orthodox Church in America, will offer the annual Bishop Basil Rodzianko Memorial Lenten Retreat this coming Saturday, March 22 following memorial Matins and Liturgy at Washington, DC’s Russian Orthodox Cathedral of St John the Baptist. Matins will begin at 7:40am, with Liturgy following at approximately 9:00. A luncheon will follow the divine services, with two discussions led by His Beatitude afterward. The theme will be “Be transformed in the renewal of your mind” (the Greek word “nous” which is usually translated as “mind” has a far more complex meaning, which Met. Jonah will discuss). All are welcome to attend! The Russian Orthodox Cathedral of St John the Baptist (ROCOR) was established in 1949 with the blessing of our venerable Father among the Saints, St. John Maximovitch (1896-1966), Archbishop of Shanghai and San Francisco. I captured this image earlier today after we had Liturgy, commemorating St Macrina, the brilliant and noble eldee sister of Sts Basil the Great and Gregory the Theologian, and the uncovering of the relics of St Seraphim of Sarov. 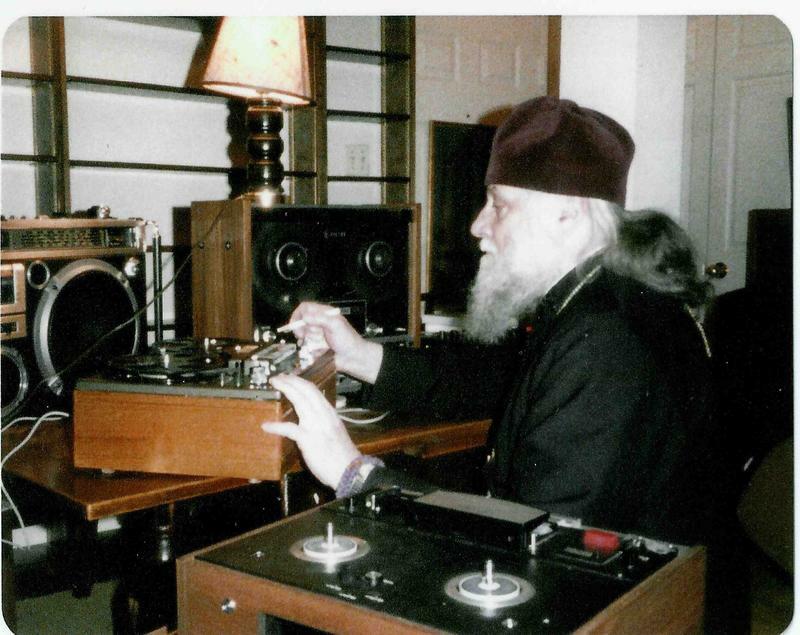 This beautiful photograph of the venerable Bishop Basil (Rodzianko) of blessed memory (1915-1999) adorns the Holy Archangels studio chapel here in Washington where Bishop Basil lived and worked, continuing his radio broadcasting ministry to the Russian people during the waning years of the Soviet Union. His was one of the most influential voices in bringing about the organic rebirth and revitalization of Orthodox life in the newly freed states of the former USSR. He is someone whose prayerful intercession I have personally experienced. He was my godmother’s spiritual father. On the bright, clear morning of Saturday, April 13 (March 31 O.S, the feast of the repose of St Jonah, Metropolitan of Moscow), Metropolitan Jonah presided over a moving Liturgy at St John the Baptist Russian Orthodox Cathedral here in Washington. This beautiful Liturgy honored the memory and legacy of Bishop Basil (Rodzianko), who reposed in the Lord on September 17, 1999 after an extraordinary earthly life and ministry. It was a great joy to attend this Liturgy, which Vladyka and the Cathedral choir served with deep reverence. The Cathedral was crowded with many people I had not seen before, and all the candle-stands around the main icons were filled to the brim with brightly burning candles, as if it had been a great feast day in the liturgical life of the Church! This was deeply moving, to see so many people coming to honor Bishop Basil’s memory. The Cathedral is always an incredibly beautiful place, with wonderful acoustics for the choir and clergy singing the Liturgy, but during this Liturgy there was a profound spiritual presence which filled the Cathedral and animated those worshiping. I don’t know if anyone else felt this, but I discerned an overflowing, radiant grace throughout the Liturgy. Following the Liturgy, we enjoyed a delicious Lenten lunch and wonderful conversation in the parish hall. I noticed that, again, there were many visitors to the Cathedral, including many parishioners from St Nicholas OCA Cathedral where I had my spiritual formation and where Metropolitan Jonah received me into the Church. Then we headed upstairs to the parish library, the site of most of Vladyka’s Bible studies here, for his engaging two part Lenten talk, titled “Let us take refuge in the Lord”. This is the opening line of one of my favorite prayers by St Isaac the Syrian (alternately known as Isaac of Nineveh). Above you may listen to part 1 of the talk via the YouTube page for St John the Baptist Cathedral. I hope you have all enjoyed a blessed and contemplative start to your Lenten journeys! I want to encourage all of you who are able to attend the Saturday, April 13 memorial Lenten retreat at St John the Baptist Russian Orthodox Cathedral here in Washington, D.C. in honor of the late and venerable Bishop Basil (Rodzianko). The Holy Archangels Orthodox Foundation of Washington, D.C. will sponsor this special event. 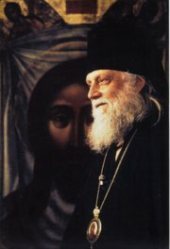 For those of you who may not have heard of this remarkable man, Bishop Basil was an Orthodox luminary of the last century whose extensive writings, radio broadcasts and travels contributed to the revitalization of Orthodoxy both in the last years of the Soviet Union and then following the collapse of communist regimes throughout Eastern Europe. Bishop Basil was my godmother’s spiritual father, and so I have been greatly blessed to hear many wonderful stories and anecdotes from her about his extraordinary life. 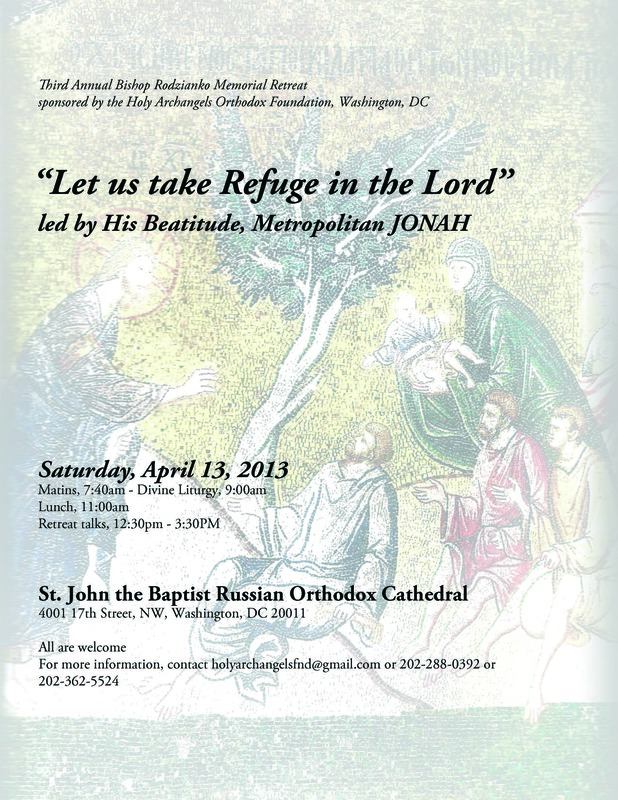 His Beatitude Metropolitan Jonah, former Primate of the Orthodox Church in America and Archbishop of Washington, will offer a talk centered around the Orthodox spiritual life titled “Let us take refuge in the Lord”. All are welcome to join us for the morning services before the talk. 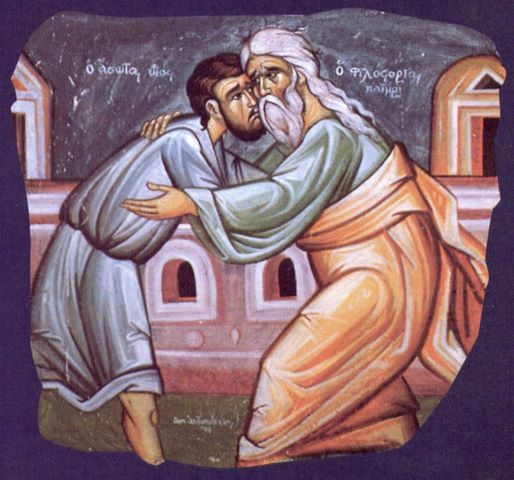 Matins begins at 7:40am followed by the Divine Liturgy at 9:00am. Lunch will be served at 11:00am, and the talk will commence at 12:30pm. Interested clergy, students, professionals, Russian scholars, and Orthodox inquirers are encouraged to attend! 1) The main website dedicated to Bishop Basil’s memory. 2) The chapter “His Eminence the Novice” by Archimandrite Tikhon (Shevkunov) in the abbot’s bestselling book Everyday Saints. 3) In all humility, two brief articles which I wrote about him, which may be found here and here. I hope you will attend what promises to be a wonderful Lenten retreat dedicated to the memory of a venerable hierarch in our times! – from the Divine Liturgy of St John Chrysostom, inspired from this verse of Holy Scripture. Many friends across the U.S. and Canada have asked me to give an update on Metropolitan Jonah’s situation. People often ask me how he is doing, or if I have heard anything new. I hope that I am able to answer people’s questions here. I am blessed to see him regularly, since he resides here in Washington and has been serving each week at the ROCOR Cathedral of St John the Baptist, a warm and bustling parish. Metropolitan Jonah has been welcomed very kindly by all, including both English-speaking parishioners and Russian and Ukrainian parishioners who usually attend the Slavonic Liturgy. His weekly Friday night Bible studies are always very well attended, and this is a growing ministry at St. John’s which Cathedral rector Fr. Victor Potapov has kindly encouraged with the blessing of His Eminence Metropolitan Hilarion, First Hierarch of the Russian Church Abroad. Friends from across the country have told me of how much this ministry enriches their faith and spiritual lives, and deepens their understanding of Orthodox teachings and beliefs, Church history, and contemporary moral issues in society. When I think of his growing ministry, how so many people are asking me how they can access his YouTube videos (these can be found here at the St John’s Cathedral YouTube page), I am amazed and deeply moved that, despite everything he is going through, he has the focus and presence of mind to continue his teaching ministry. I see this as the Providence of God. By cooperation with the grace of the Holy Spirit, Metropolitan Jonah is able to continue to serve as a teacher, his true capacity as a bishop. The true responsibility of an Orthodox bishop is a profoundly pastoral one: to communicate the transformative wholeness and living beauty of the Faith to people in the language and context of the times in which they live. Above all, a bishop’s writings, sermons, and talks should enable the faithful to better live and integrate the fullness of Orthodox teaching and spirituality into their daily lives. As Metropolitan Jonah often says, “what we do in church on Sundays counts for less than 5% of the week, so how are we spending our time while outside of church?” How are we understanding, and most of all, living, our faith day-to-day, hour by hour? Thus, in communicating to the people the fullness of the Orthodox faith which is the way to salvation, the inner life and glory of the Church, a bishop’s role is primarily that of a teacher. He is charged with guiding the people, “rightly dividing”, or discerning and communicating, the word of Truth in all its catholicity. This is how I see Metropolitan Jonah: above all, he is a teacher. From the numerous Bible studies, sermons, conference and retreat talks I have heard him give, it is clear to me that he is an exceptional one. 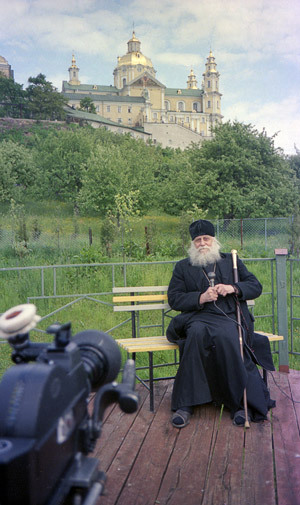 Metropolitan Jonah has the charism of communicating profound spiritual truths, as well as deeply intellectual, and often philosophically worded, Orthodox spiritual concepts (theosis, koinonia, theoria, synergeia, hesychia, prayer of the heart, conciliarity/sobornost, etc) in language that people can understand and apply to their lives. Thus, as a teacher who can articulate Orthodoxy to people today living in a cultural context removed from that of a traditionally Orthodox cultural environment, he is invaluable. He is widely and rightfully recognized as an engaging speaker whose spiritual talks have served as an Orthodox bridge to the Roman Catholic, evangelical and mainline Protestant communities. It amazed me to discover that the verse following St. Paul’s exhortation to the Thessalonians to always rejoice is a verse with which I was already familiar, but whose exact context and placement in his epistles I did not remember until re-reading it: “Pray ceaselessly”. (1 Thessalonians 5:17). How fitting that, inseparably tied to rejoicing in the boundless grace of God, we should also always remember to thank and supplicate Him in prayer, our hopes, praises and deepest yearnings which rise like incense to heaven (Psalm 141:1-2). There is so much for which I and many others close to Metropolitan Jonah are profoundly grateful. His constant kindness, easygoing warmth and sense of humor always put anyone meeting him for the first time at ease. When one has talked with him often, one comes to appreciate how he has not only a remarkable depth of theological knowledge and spiritual awareness, but a profound humility of spirit. This humility and real sense of Christian love is at the heart of who Metropolitan Jonah is as a person. Anyone who has heard his spiritual talks or read his book Reflections on a Spiritual Journey knows that a constant theme is: “Do not resent. Do not react. Keep inner stillness.” It is this profound theological and spiritual principle which he has so often articulated, one which the early Desert Fathers and many of the Church’s foremost theologians taught, which he is trying to live now. My wonderful godmother, who is a great blessing in my life, often tells me about the extraordinary life of Bishop Basil Rodzianko, her spiritual father, whom she assisted for many years. From my godmother I have heard many wonderful stories and anecdotes about his life, and in many ways I feel I have come to know this remarkable holy man, especially through prayer. There are a number of parallels between the life and work of Bishop Basil, and Metropolitan Jonah. Just like Metropolitan Jonah today, Bishop Basil preached the true fullness of the Christian witness of two millennia, offering to all the full message of the Gospel and the Church’s revealed moral teachings. In retirement, Bishop Basil often served at St. Nicholas Cathedral, and lived out the remaining years of his life in a cozy studio apartment-chapel. He often served liturgies there, and continued his remarkable radio ministry to the faithful living behind the Iron Curtain in the Soviet Union. As you can see below, this intimate, holy place remains in use today. 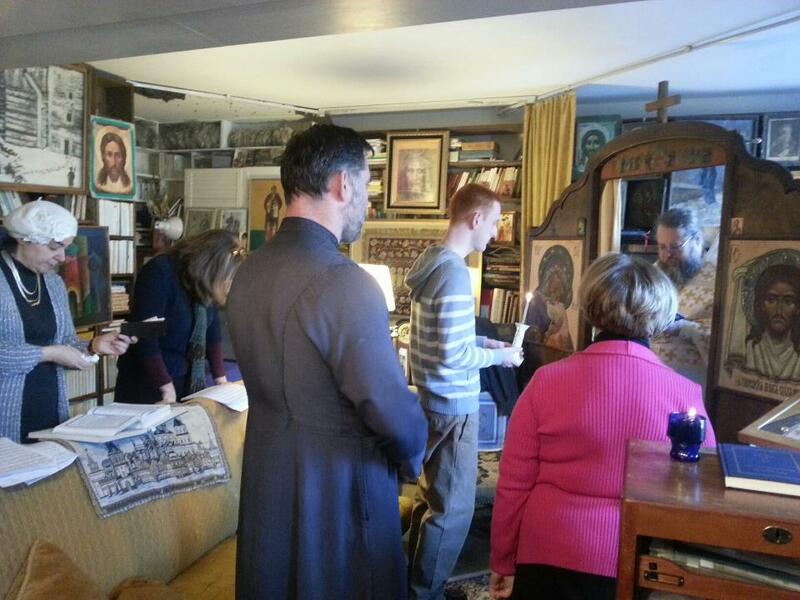 Metropolitan Jonah celebrating Liturgy on January 23 at Bishop Basil Rodzianko’s studio apartment-chapel in Washington, D.C. Bishop Basil reposed here in September 1999. 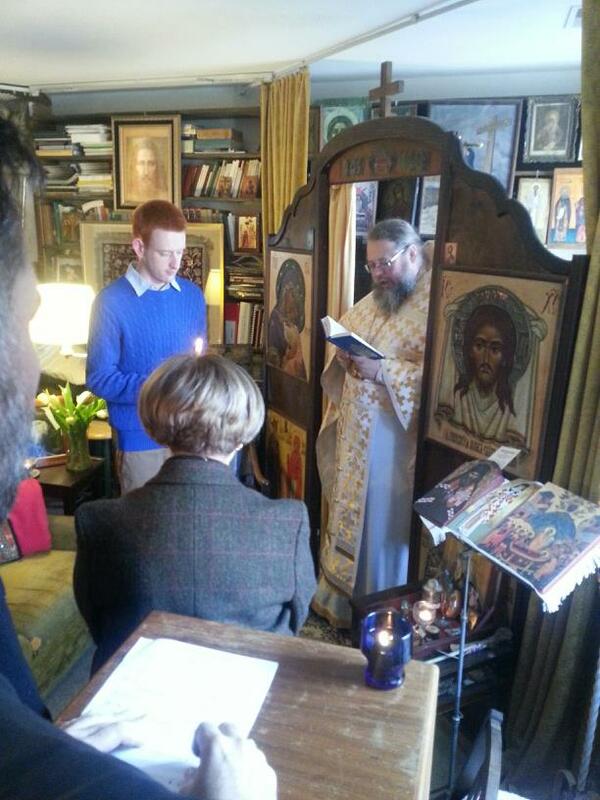 Metropolitan Jonah serving Liturgy at the late Bishop Basil’s apartment chapel on February 21, 2013. 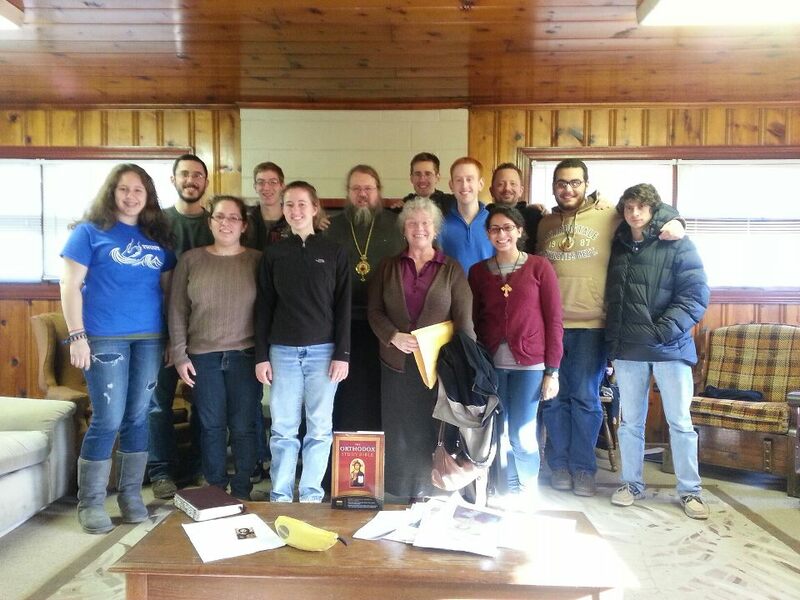 Besides his acting teaching ministry at St. John’s ROCOR Cathedral here, where he also serves regularly at Liturgy and vigil, Metropolitan Jonah spoke at the February 8-10 DC-Baltimore Orthodox Christian Fellowship district winter retreat at the Mar-Lu-Ridge camp site near Jefferson, Maryland. For many years he has participated in similar conferences and retreats, recently speaking at the 2012 winter OCF College Conference in California. It was a joy to host him as a speaker, along with the exceptionally kind author and lecturer Khouria Frederica Mathewes-Green and Dr Joel Kalvesmaki, Editor in Byzantine Studies at Dumbarton Oaks. Metropolitan Jonah and Kh. Frederica Mathewes-Green with students at DC-Baltimore OCF winter retreat, February 8-10, 2013. The Holy Archangels Foundation, originally set up in 1986 to support Bishop Basil’s continued radio and teaching ministry, has been receiving hundreds of envelopes with checks and cash to go toward supporting Metropolitan Jonah’s continued teaching ministry here in Washington. Every day the Foundation receives many e-mails and letters from people across Orthodox jurisdictions, asking what they can do to support this kind hierarch whom so many of us love and support. 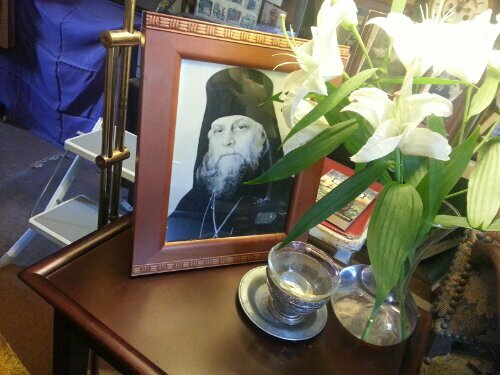 Wherever you are, if you love and support Metropolitan Jonah as do so many people, please continue to pray for him. He deeply appreciates everyone’s prayers. Many of us here in Washington have begun praying the Akathist to St. John Maximovitch (the Wonder-worker) in the hope that this blessed saint will intercede with the Lord to bring about a clear resolution. May God bless you and keep you, and give you joy in all things. A shameful part of early and modern European history, Christianity was historically used to justify antisemitic sentiment and violence. While there is nothing intrinsically anti-Semitic in Orthodox Christianity or any other Christian communion, I have encountered a surprising and disturbing number of professed Christians over the years who have expressed that they have a strong dislike for Jews. Growing up with many Jewish friends in a very religiously diverse area of Long Island, New York, I have also known many Jews who have developed a very negative opinion of Christianity in general because of their encounter with either 1) the historical reality that many Christian people and rulers throughout history have been responsible for hateful actions, even murder, against Jews, or 2) a Christian person living today who holds anti-Semitic views. Growing up in the Roman Catholic Church, I never heard anything in church or read of any doctrines which could be construed as hateful toward Jews, and the same has held true since my conversion to Orthodoxy. I sometimes invite friends to Vigil or the Divine Liturgy if they are interested, and these have included non-religious/agnostic, atheist, Catholic, Protestant, Mormon, and Jewish people. Whenever any Jewish friends have attended Vespers or Liturgy with me, they are always struck by and comment on the remarkable similarities between Orthodox chanting and that of Hebrew cantors, especially in the chanting of the Psalter. The few anti-Semitic individuals I have encountered among Orthodox people I have met are, without exception, Eastern European immigrants who happen to be less educated. As you will sadly find in almost every historically Christian European country, not just the Orthodox ones, such people tend to blame others – often, historically, Jews – for their personal economic woes or the mismanaging of their country’s finances. This casting of blame where none is due is not because they are Orthodox Christians, but because of any combination of their own ignorance, popular antisemitism in their neighborhood, family upbringing, or local culture, etc. Today, antisemitic opinions (distinct from opinions critical of the policies of the Israeli Government or its Defense Forces) are normative, and rising, throughout Europe. I have found this through research, as well as just talking with many ordinary Europeans in my travels. One example which comes to mind is from two years ago, when I met a young, educated Russian man here in DC named Vasily, a friend of my Russian godfather Misha. Vasily referred to the notorious forgery The Protocols of the Elders of Zion (which purports to describe a Zionist attempt to control and undermine all the world’s governments) as if it were a credible book. I had never met someone who, in modern times, actually considered the forged account to be a legitimate plot. However, among many other Russian immigrants I have met, there is a strong affinity for Jews because both Russian Christians and Jews suffered horrifically at the hands of the Nazis during the Second World War, with the Nazis considering both Christian and Jewish Slavs subhuman and targeting them for organized mass-murder. It is important to realize that anyone who dislikes or hates Jewish people does not feel this way because of his or her Christian faith, though sometimes, and often historically, people have tried to cloak their anti-Semitism in zeal for Christ. This is a huge tragedy and misunderstanding of the core tenets of the Gospel. For centuries, Jews throughout medieval and early modern Europe were subject to random and arbitrary violence often at the hands of the local peasant populations who blamed the local Jews for failed crop harvests, disappearances of children, and even alleged well-poisonings during the Black Death, etc. Since Christians were forbidden by the Church from lending money at interest (usury), and Jews were forbidden by Christian rulers from inheriting land and passing it on through lineal descent, often the only trades open to them were as money-lenders and traders, leading Christian peasants to label all Jews as cheats and local rulers to intermittently protect and expel them (using local Jews as sources of money, they often then betrayed them when they did not want to pay back their loans, as Edward I of England did in 1290). For more insight into the intermittent persecution Jews faced in early modern Europe, I highly encourage you to read the fascinating Memoirs of Gluckel of Hameln (lived 1646-1724) and the Life of Judah, an autobiographical account written by Leon Modena, a leading seventeenth century Venetian rabbi (lived 1571-1648). 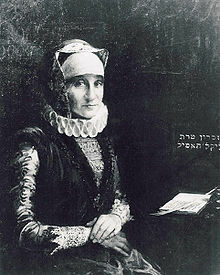 Glückel of Hameln (1646-1724) was a wealthy Jewish businesswoman and diarist, whose account of her family life and financial endeavors to support her children after her first husband’s death provides scholars with an intimate picture of German Jewish communal life in the late-17th-early eighteenth century. Notorious charges of alleged Jewish child-killing connected to the ‘blood libel’ myth persisted well into the twentieth century in some places, even in the United States with the 1928 Massena case in upstate New York. Blood libel refers to the myth that Jews in their synagogue rituals used the blood of Christian children for their Passover bread, and peasant superstition and antisemitic fervor has led to local hysteria against Jews throughout central and eastern Europe irrespective of the religious establishment of the area. One Ukrainian Cossack who remains a national Ukrainian folk hero today, Bohdan Khmelnytsky, led his soldiers in massacres of tens of thousands of Jews in Galicia and what is today southern Poland and western Ukraine, devastating the area and causing the subsequent migration of many Ashkenazim Jews to live near mostly Sephardic communities in the Holy Roman Empire’s and Dutch cities. At the onset of the First Crusade in 1095, the “People’s Crusade” on their way to the Holy Land, following in the wake of the Christian kings and nobles who traveled by sea, massacred most of the Jews in the Rhineland of what is now eastern France in Alsace-Lorraine and western Germany. Upon their capture of Jerusalem in 1099, the Christians put most of the non-Roman Christians in the city — including Muslims, Jews, and Orthodox Christians — to the sword. Hatred of Jews existed at the highest echelons of early modern European intellectual society, with the humanist and polymath Dutch scholar Desiderius Erasmus infamously quipping to his English correspondent Thomas More (later canonized as a martyr in the Roman Catholic Church after his martyrdom at the hands of Henry VIII) that “if to be a good Christian is to hate the Jews, then we are all good Christians here”. 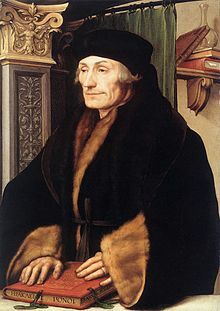 Desiderius Erasmus (1466-1536), also known as Erasmus of Rotterdam, was a Dutch Renaissance humanist, Catholic priest, social critic, teacher, and theologian. Erasmus was a classical scholar who wrote in a pure Latin style. Many Roman Catholic popes and all the Protestant Reformers – very highly educated men– espoused anti-Jewish views in their writings. Martin Luther’s vulgar 1543 diatribe On the Jews and their lies, a 65,000 word treatise, catalyzed popular Protestant German violence against Jews for centuries after his death. At their 1933 celebratory games in Nuremberg the Nazis prominently displayed an original copy of Luther’s treatise, which they marched past in formation. Incensed when Jews did not convert to his “purified” and “reformed” Christianity, Luther’s treatise urged German Christian princes to treat Jews as a plague and vermin, and burn their scriptures, forbid their rabbis from teaching, seize their property and stores, and expel them from their domains. Does this sound familiar? Luther essentially urged everything short of full-scale Holocaust. The Holy Roman prince-elector who sheltered Luther from Emperor Charles V, for instance, eventually expelled the Jews who lived on his territories at Luther’s urging. 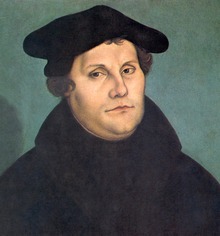 Martin Luther (1483-1546), father of the classical Protestant Reformation, was formerly a Catholic Augustinian monk and priest, continuing even after his excommunication from the Roman Catholic Church as a professor of theology at the University of Wittenberg. Along with many contemporary European intellectual figures, Luther held often deeply contradictory impressions and opinions about Jews. In his first treatise, Jesus Christ was a Jew (1523) he excoriated the Roman papacy for its harsh treatment of Jews, wondering why any Jew would ever convert to Christianity when he saw Christians failing at practicing the basic elements of their faith. He initially called for Christian rulers and Church leaders to treat the Jews better. They have dealt with the Jews as if they were dogs rather than human beings; they have done little else than deride them and seize their property. When they baptize them they show them nothing of Christian doctrine or life. . I hope that if one deals in a kindly way with the Jews and instructs them carefully from Holy Scripture, many of them will become genuine Christians and turn again to the faith of their fathers, the prophets and patriarchs. They will only be frightened further away from it if their Judaism is so utterly rejected that nothing is allowed to remain, and they are treated only with arrogance and scorn. If the apostles, who also were Jews, had dealt with us Gentiles as we Gentiles deal with the Jews, there would never have been a Christian among the Gentiles. Since they dealt with us Gentiles in such brotherly fashion, we in our turn ought to treat the Jews in a brotherly manner in order that we might convert some of them. For even we ourselves are not yet all very far along, not to speak of having arrived. When we are inclined to boast of our position we should remember that we are but Gentiles, while the Jews are of the lineage of Christ. We are aliens and in-laws; they are blood relatives, cousins, and brothers of our Lord. Therefore, if one is to boast of flesh and blood, the Jews are actually nearer to Christ than we are, as St. Paul says in Romans 9[:5]. God has also demonstrated this by his acts, for to no nation among the Gentiles has he granted so high an honor as he has to the Jews. For from among the Gentiles there have been raised up no patriarchs, no apostles, no prophets, indeed, very few genuine Christians either. And although the gospel has been proclaimed to all the world, yet He committed the Holy Scriptures, that is, the law and the prophets, to no nation except the Jews, as Paul says in Romans 3[:2] and Psalm 147[:19-20], “He declares his word to Jacob, his statutes and ordinances to Israel. He has not dealt thus with any other nation; nor revealed his ordinances to them. It is almost impossible to believe that the same man wrote both treatises. Yet tragically, when German Jews did not embrace his reformed Christianity, the acid-tongued Luther turned against them. In the Russian Empire, contrary to the Western European kingdoms of France, England, Castile, Aragon, and Portugal which had at various points expelled their Jewish populations (France and England in 1182 and 1290, respectively, and the late fifteenth century in the Iberian peninsula, with los reyes catolicos Fernando II of Aragon and Isabel I of Castile issuing their edict of expulsion in 1492), Jews were never expelled by official decree. Beginning during Empress Catherine II’s reign, Ashkenazi Jews were, however, required to live in a restricted agricultural zone in what is today Belarus, Moldavia, Ukraine, Poland, Lithuania, Latvia, and western Russia known as the Pale of Settlement. Map depicting the area known as the Pale of Settlement in the western lands of the Russian Empire. As Western European states gradually secularized and democratized in the nineteenth century in the wake of the tragic and complicated French Revolution, giving Jews initially partial and then full rights as citizens (though popular dislike of Jews remained strong in these societies), Jews in Western Europe suffered less direct violence than what they continued to suffer in the officially Orthodox Eastern European provinces and countries under Russian rule. Yet the horrific phenomenon of pogroms against Jews, often spurred on by priests’ preaching during Holy Week which was either emphatically hateful towards them, or misunderstood as such by the mobs who claimed they were killing those they considered “Christ-killers” in the name of Christ, were historically as much a part of Catholic and Protestant Western Europe as they were of the Orthodox East. 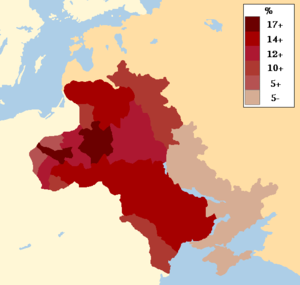 Without exception, all the pogroms against Jews in the late nineteenth and early twentieth centuries took place in mainly Ukrainian Catholic (Uniate) parts of Ukraine. Even in Eastern European countries with historically high rates of anti-Jewish pogroms and popular sentiment, countries which still show high rates of popular anti-Jewish feeling, there is no real connection between anyone who claims to hate Jews because of their Christian faith, and the actual tenets of Christianity. During the Holocaust, for instance, many European rulers such as Queen Wilhelmina of the Netherlands, Queen Mother Helen (Elena) of Romania, and most famously King Christian of Denmark actively intervened to protect Jews from slaughter in whatever ways they could. 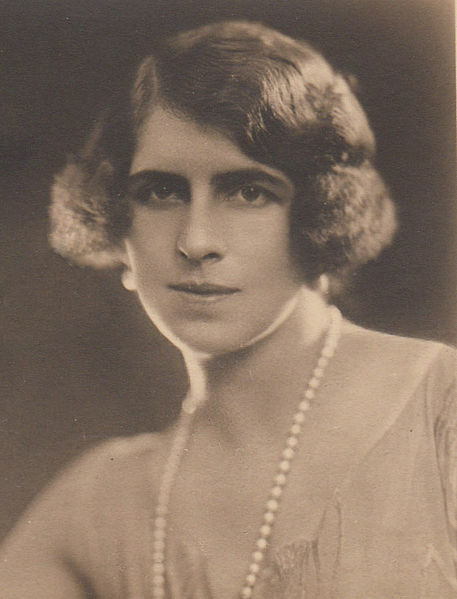 Princess Helen of Greece and Denmark (1896-1982) was the wife of King Carol II of Romania and the mother of King Michael of Romania. She held the title Queen Mother of Romania. . For her efforts to rescue Romanian Jews from the Nazis, she was awarded the status of Righteous Among the Nations and a plaque commemorating her efforts stands at Yad Vashem in Jerusalem. One Russian bishop who followed in Metropolitan Anthony’s footsteps, whom I never had the pleasure of meeting, was the late Bishop Basil (Rodzianko). He was my godmother’s spiritual father, and, according to her, he often told his parishioners and spiritual children that it is a grave sin to ever hold or act upon an anti-Jewish view or impulse, since Christ Himself, the Mother of God, all the apostles, etc, belonged by blood to the house of Israel. Bishop Basil reposed in 1999, so this shows that the phenomenon of Russian Orthodox hierarchs opposing anti-Jewish sentiment continues. In the above video, my godmother reflects on her close relationship with her spiritual father, the late Bishop Basil (Rodzianko). By all accounts, Bishop Basil was a remarkably holy man whose life was truly extraordinary. Among her many activities, Marilyn served for thirty years as the parish historian at St. Nicholas Cathedral in Washington, D.C. 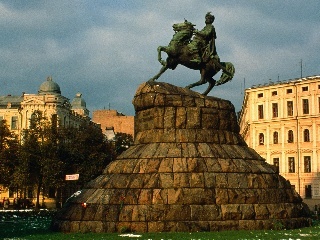 The young Vladimir Rodzianko grew up in Belgrade, Serbia, Yugoslavia. This photo was taken in 1926 when he was 11. Born into an old Russian noble family as Vladimir Rodzianko, his grandfather Mikhail served as the Chairman of the last Imperial Duma prior to its dissolution in February 1917. 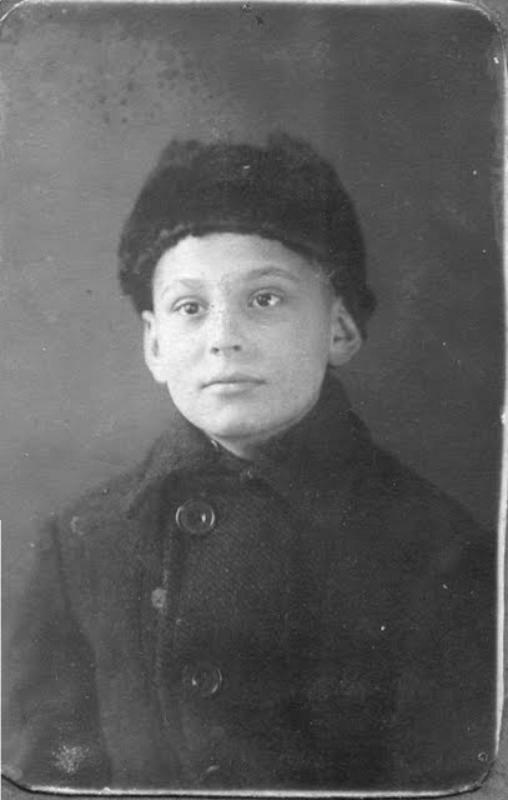 At the age of five, the young Vladimir emigrated to Belgrade, Serbia with his family following the Bolshevik Revolution, and his family lived in greatly reduced circumstances. One of his uncles was a leading general in the White Tsarist forces during the Russian Civil War, and in a cruel twist of irony, the young Vladimir endured years of psychological and physical abuse at the hands of his cruel tutor, also a former White army officer, who took out his hatred for Vladimir’s grandfather on the young boy. 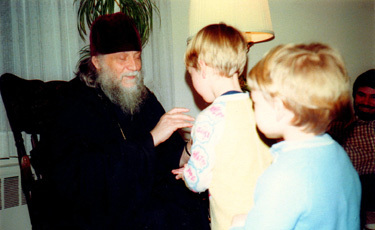 Growing up in Belgrade, young Vladimir was blessed to receive a superb religious and spiritual education from two of the shining luminaries of twentieth century Orthodoxy: his spiritual mentors were the professor and hieromonk Fr. John Maximovitch, the future St John the Wonderworker, Archbishop of San Francisco, and Metropolitan Anthony (Khrapovitsky) of Kiev, the first ruling Hierarch of the Russian Church Abroad. After attending a prestigious gymnasium, Vladimir attained his undergraduate theology degree at the University of Belgrade in 1937 and in that year married Marya Kolubayeva. 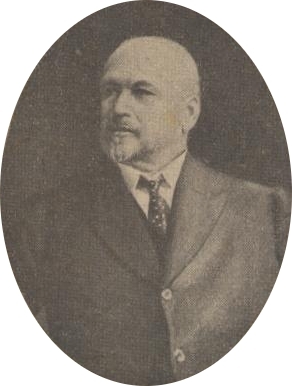 Mikhail Rodzianko (1859-1924) served as Chairman of the Fourth State Duma. The head of an old noble family living in what is today Ukraine, Mikhail supported the Imperial Family but criticized the Tsar for what he perceived were failures in leadership on the part of Nicholas II during the First World War. He urged the Tsar to separate himself from Rasputin, relax censorship and institute universal suffrage. Shortly before Nicholas II’s abdication he sent the Tsar a telegram which may have influenced him to renounce the throne. Vladimir continued his post-graduate work at the University of London before returning to Serbia where he was ordained a deacon and then a priest in 1941. After the Second World War in which his parishioners experienced numerous privations and abuses by the Nazis, he was sentenced to eight years’ hard labour by the communist authorities for spreading “religious propaganda”. Following his release in 1949, due in part to the intercession of the Archbishop of Canterbury Geoffrey Fisher, Father Vladimir and his family moved to France before settling in the United Kingdom where he continued serving as a priest in London. Always fascinated with radio technology, he began broadcasting religious programs to the faithful in the Soviet Union on the BBC. Due to the popularity of these programs, the Soviet KGB targeted the priest for assassination, and tragically one of his grandsons was killed by communist agents seeking to kill Fr. Vladimir. 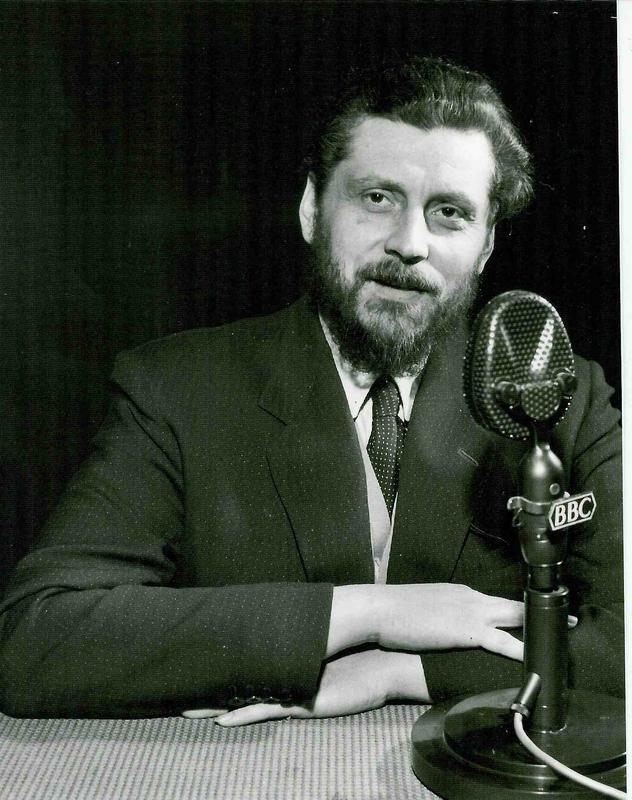 Father Vladimir delivering a radio programme at the BBC in the 1950s. Father Vladimir lectured widely on Orthodoxy at leading British religious and academic institutions and was an active member of the Fellowship of St Alban and St Sergius, an Anglican-Orthodox ecumenical society. Following the tragic death of his wife Marya in 1978, Father Vladimir was tonsured a monk the next year by his spiritual mentor, Metropolitan Anthony (Bloom) of Sourozh, taking the name Basil. 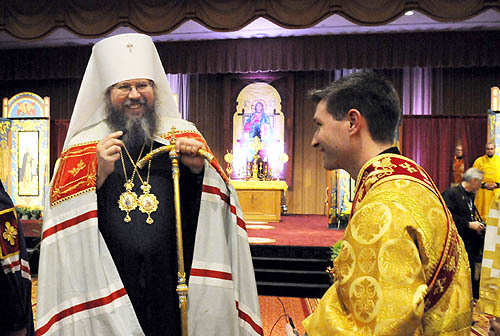 In 1980, with Metropolitan Anthony’s blessing, Hieromonk Basil was received into the Orthodox Church in America (OCA) from the Moscow Patriarchate and consecrated as auxiliary bishop in Washington, D.C. to the Church’s primate Metropolitan Theodosius. In November of the same year Bishop Basil was consecrated as Bishop of San Francisco and the West, a diocese he served until his retirement in 1984. Following his retirement, His Grace Bishop Basil spent the closing years of his life in Washington, often serving at St Nicholas Cathedral, where my godmother met him and became his spiritual daughter (his very kind niece Masha is her godmother). Following the end of communist rule in the Soviet Union, the bishop was at last free to travel to his Russian homeland and meet with many of the adoring and pious people who had come to love his radio broadcasts on all aspects of Orthodox spirituality, which he had given without interruption over four decades since leaving Serbia for the United Kingdom. Bishop Basil continued giving regular Russian-language radio broadcasts until the end of his life. Several recordings of sermons he gave in English at St. Nicholas Cathedral have been carefully preserved. 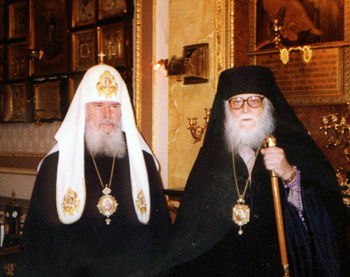 Patriarch Aleksey II with Bishop Basil in Moscow. In May 1991 His Holiness Patriarch Aleksey II of Russia asked Bishop Basil to journey to Jerusalem and bring back to Russia some of the fire which miraculously ignites each Pascha at the tomb of Christ in the Holy Sepulchre. En route to Moscow, Bishop Basil met the Ecumenical Patriarch Demetrios I in Istanbul and received his blessing. Upon arriving at the Kremlin’s Uspensky Sobor (Dormition Cathedral) just as the choir and bishops began singing “O Come, let us worship”, His Grace placed the sacred fire on the altar Divine Liturgy with Patriarch Aleksey. Following the Liturgy he then processed with the Patriarch and senior bishops of the Moscow Patriarchate around Moscow. 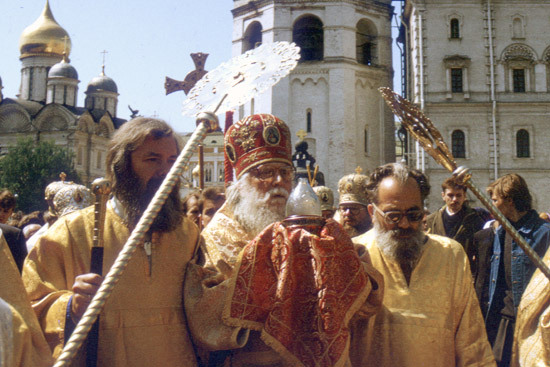 Bishop Basil in the Kremlin carrying the holy fire from Jerusalem, May 1991. Bishop Basil fell asleep in the Lord in Septemb1999. Many Russians in the St. Nicholas community feel his close presence even today and he is considered a saint among a number of Orthodox believers across the world. May his memory be eternal! For more information about his remarkable life, please visit this website run by Holy Archangels Foundation, a group of Orthodox in Washington dedicated to preserving and honouring Bishop Basil’s memory. Here is the Holy Archangels Orthodox Foundation‘s principal website. 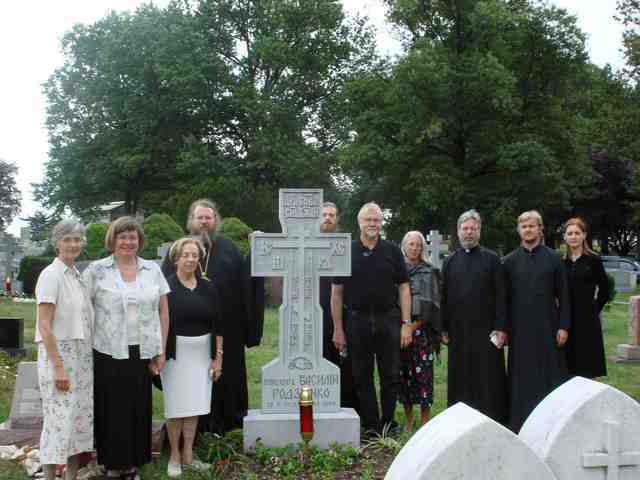 Friends and family of the late Bishop gather at his grave site in September 2009 to mark the tenth anniversary of his repose. 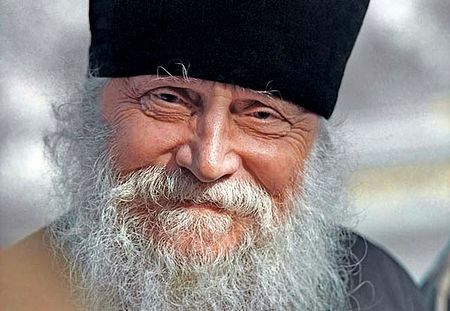 Since this date, every year Metropolitan Jonah, former Primate of the Orthodox Church in America (OCA) offers an annual memorial lecture in Bishop Basil’s memory usually during Great Lent. Standing to the left are his nieces, my godmother, and His Beatitude Metropolitan Jonah. On the far right are Fr. Valery (Shemchuk) and his wife Matushka Marina. This Vimeo video was produced by Peter Vlasov in 2005.